Petra corner dining set from our Casa collection. 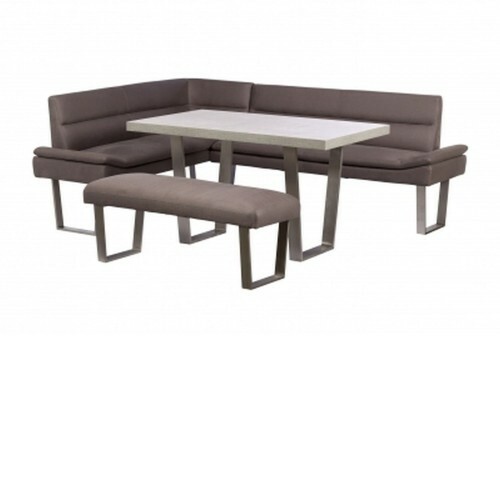 A highly modern range which has been designed with simplistic and comfort in mind. 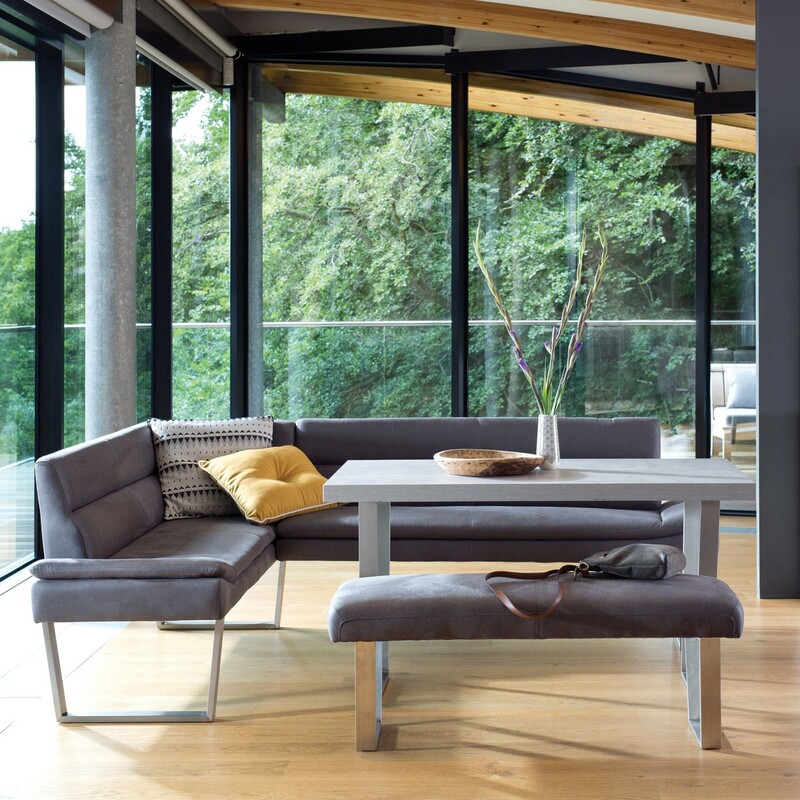 Crafted from a Stainless Steel unique designed legs combined with a distinctive look of concrete top contrasted with the warm tones of the fabric suede seating creates a bold and contemporary impact in any home.